Join me as I share with you 5 of my most often practiced studies! 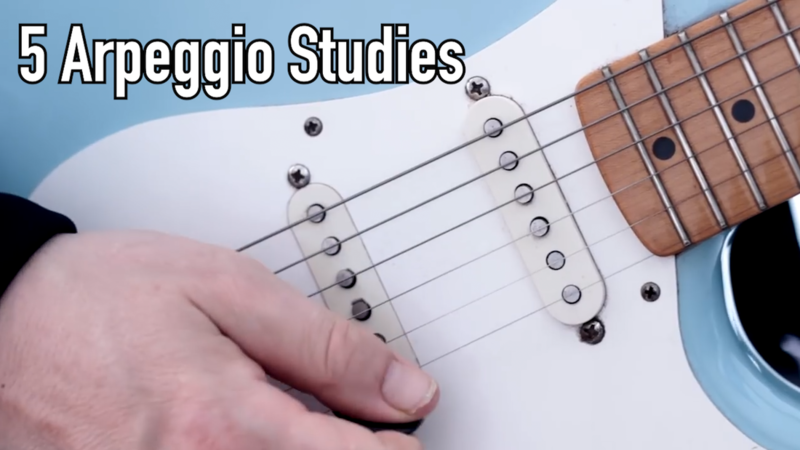 ​In this brand new download I'll take you through a series of demanding arpeggio studies designed to push your playing to the next level and beyond. In the collection, you'll be applying modern guitar techniques such as Hybrid Picking, Economy Picking and 'Hammers from nowhere'. The studies have specifically been written to focus on various problematic areas that most guitar players encounter, whilst, at the same time, retaining a tasteful and melodic approach to each study.